I love randomly ending up at events that I don't find out about until like an hour before...they always end up being the best nights! 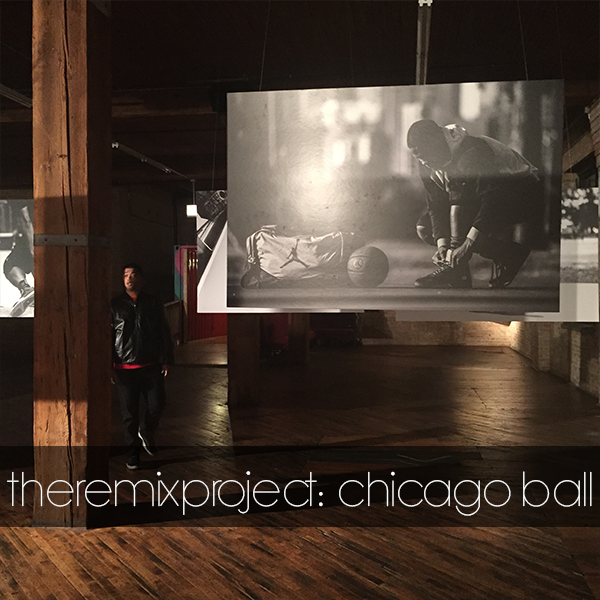 I found out about the Chicago Ball photography exhibit through a friend on Friday and my friend Shelby and I decided to go check it out. It featured "a visual tour of Chicago’s streets in America’s greatest basketball city." All of the photos were taken by photographers trashhand and Elise Swopes. Swopes happens to be one of my favorite photographers that I discovered a while ago on Instagram, so it was really cool to see her and some of her work in person. I also have to say that the venue, Lacuna Artist Loft Studios, was one of the coolest event spaces that I've ever been to! All of the art and the entire vibe was just perfect (loft goals). It was also pretty cool to have the chance to take a picture with the special guest, Jimmy Butler of the Chicago Bulls. After the exhibit, we went to the after party at East Room. Overall, I unexpectedly got to go to an awesome event, meet some new people and just have a really great time!